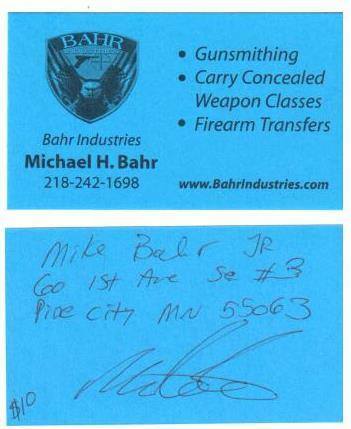 Bahr Industries, WI CCW, MN CCW, Minnesota Concealed Carry Classes, Gunsmith, Gun Smith, Gunsmithing, Wisconsin Carry Permits, Wisconsin CCW, Wisconsin Pistol Permits. Gunsmithing, Minnesota Carry Concealed Weapon Courses, Firearm Sales, Firearm Transfers Military Surplus Sales, Lawn Care, Snow Removal. No Hidden Fees for RANGE, Pistol Rental Etc. We Provide the Pistol, you Provide $50 and a box of .22lr Ammo... It's that simple! Expand your Permit To carry reciprocity course: HERE 2.5 - 3 hour class. Includes a in Class video and range portion $50 gets you your choice of any/all of the following state permits. FL, VA, AZ, ME, NH. 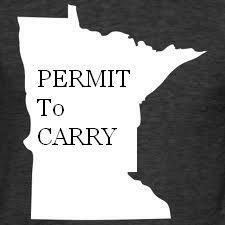 - Remember these are included permits with your Bahr Industries LLC, Minnesota Permit to carry course. CLICK TRANSFERS ABOVE TO SEE A LIST OF SOURCES OF GUNS. Client or his/her agent agrees to allow MOJ on the property for the purposes of cleaning services. Client understands that there is no set time frame for the completion of services and multiple visits to the property may be required. MOJ also has the permission to visit the property with little or no notice to assess service needs prior to the date of service, as well as to check completion after services have been rendered. The Client also agrees to release MOJ of any or all liability for injuries sustained due to equipment placement to include injuries from tripping/falling, striking equipment, falling debris or equipment. See our collections procedure and Media disclaimer. 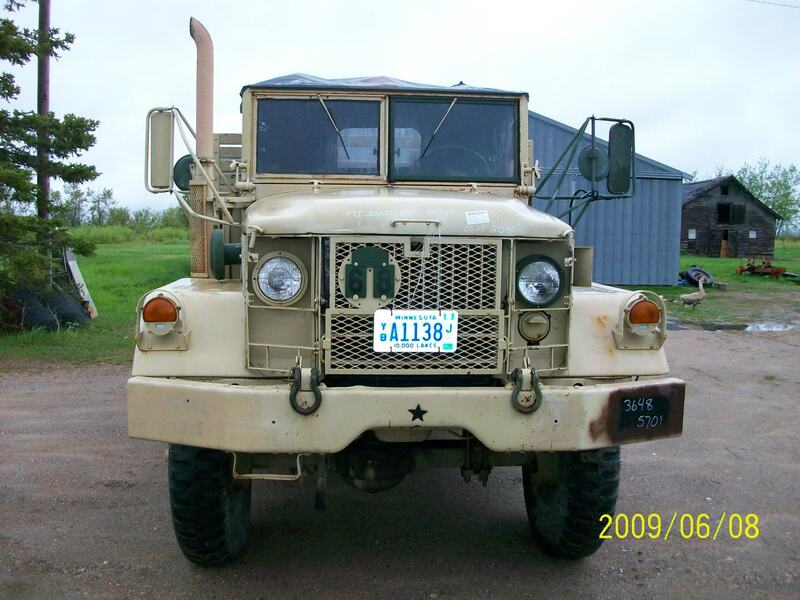 My M35A2 "Duce and A Half" Truck.